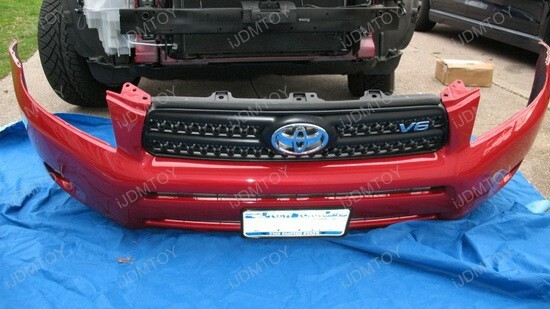 You can find this product under Toyota/Lexus Fog Lamps (70-101). 1.) 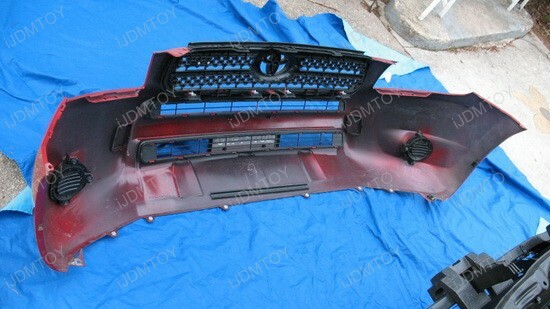 First, remove any plastic clips or screws/bolts that hold the bumper to the under tray and grill in the engine bay. There may be several located throughout the underside and top of the vehicle. There are also screws that hold the bumper in place near the fender wells on the side as well. Once all the screws/bolts/clips have been removed, the bumper is usually held on my compression clips underneath the headlight which will require you to pull off the bumper. Having additional assistance will help you to reduce scratches and damages on your bumper as you remove it. 2.) Once the bumper has been removed, set aside on a large towel or in the grass to prevent scratches on the bottom. 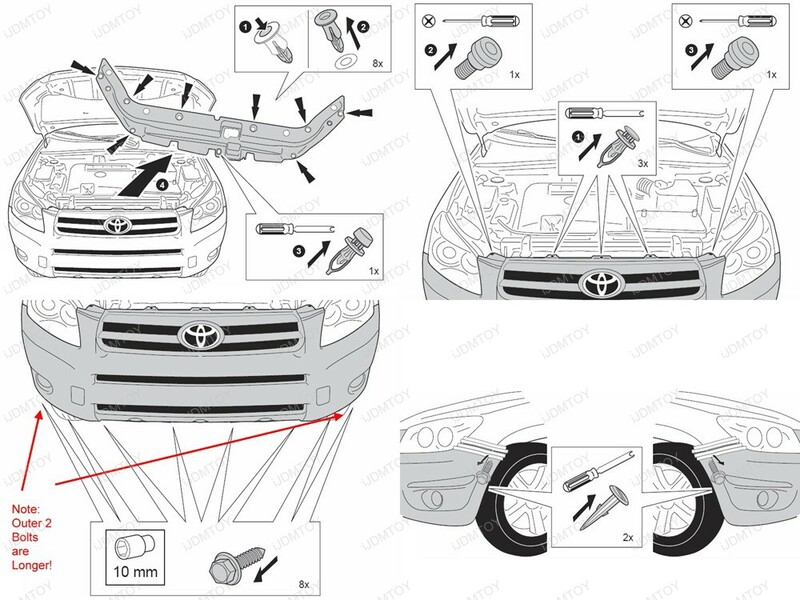 Use this time to remove the factory fog lights from bumper while it is off. 3.) Most factory fog lamps are held onto the bumper using screws and bolts, remove those. The screws/bolts are usually behind the bumper. 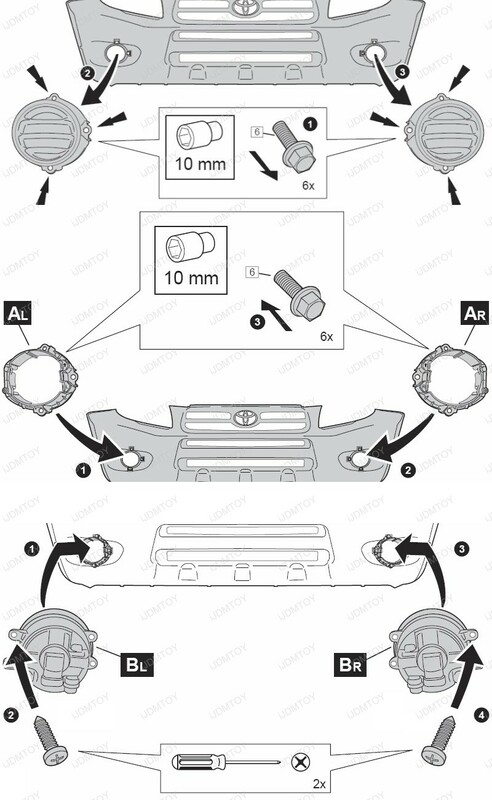 Keep in mind that many aftermarket fog lights we carry will require that the factory mounting brackets be used as our fog lights are assembly replacements that do not include brackets.